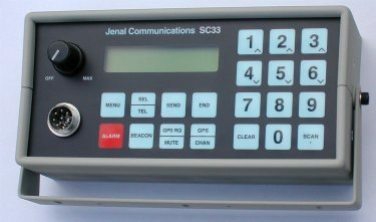 The SC33 is a versatile unit which can be used to enhance the operation of many different types of radio. The unit adds capabilities such as Selcall and GPS location (for tracking - requires a separate GPS receiver) and can also control scanning or channel selection for some radios (depending on the channel control interface). The built in 1 Watt audio amplifier (with mute) and adjustable microphone pre-amplifier make audio interfacing easy while the 2 line by 16 character backlit LCD gives visual feedback and information.